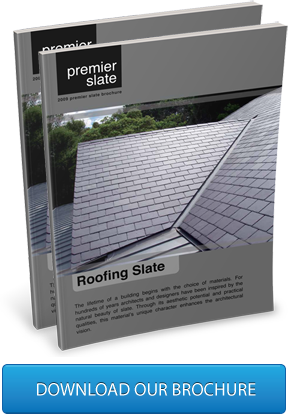 Premier Slate are slate roofing merchants based in Sydney, committed to supplying clients all over Australia with the best quality slate available, at the best possible rates. Premier Slate acquires the finest roofing slate, materials, tools and accessories from around the world to provide clients within the Australian construction industry with a range of options to suit all budgets and aesthetic tastes. We can deliver to any location in Australia. With years of experience we can offer technical advice to architects and clients. Natural slate is still the best and most desirable type of roofing material known. Even with the advances made in modern building products, roofing slate when it is properly selected, worked and installed, may prove to be the most permanent part of any building. The result of this longevity is that slate is a very cost effective roofing material that is less costly to maintain, and has a lower frequency of re-roofing. Premier Slate are committed to sourcing and providing the highest quality products available on the market. In doing so, we offer all clients alike peace of mind in both the quality and durability of materials used on their roof. A prime example of the standards we adhere to is reflected in the issues that affected the roofing world in the 1980’s. A change in the demand from artificial products back to natural products created a surge in the quantities of slate required, leading to newly founded quarries opening up to deal with the demand. Much of this slate was of very poor quality, and resulted in costly failures on the roof. Britain was the first area to quickly identify and close down the quarries producing poor slate, but the issue remains throughout other quarries around the world, as the demand is still very high. Here at Premier Slate, we only import slate of the highest grade, as we are fully aware of the ramifications of using a second grade product, even in times of short supply. Premier Slate visits the quarries and factories from where it sources the slate and other products to ensure their clients are getting the best that can be provided. With over 30 years experience in the slate roofing industry, we are able to consult on a wide range of projects and advise on the most suitable products to use for any job, along with the best fixing methods. Copyright © 2014 Premier Slate.